Wat is dit voor site? Wij zoeken de goedkoopste boeken op internet. 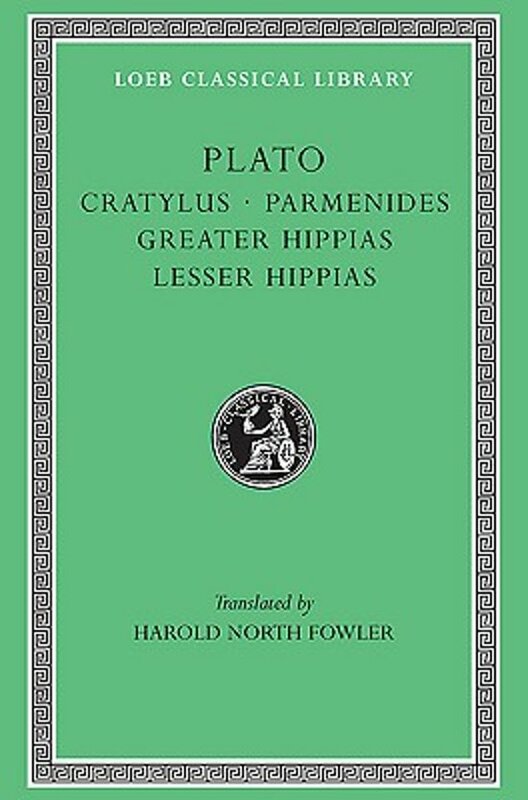 Cratylus, Parmenides, Greater Hipias, Lesse Hipiasvonden we het goedkoopst op Bol.com voor €26.99. We hebben gezocht in nieuwe en tweedehands boeken. Rechtsonderaan de pagina kan je het boek direct bestellen	via Bol	.com. Plato, the great philosopher of Athens, was born in 427 BCE. In early manhood an admirer of Socrates, he later founded the famous school of philosophy in the grove Academus. Much else recorded of his life is uncertain; that he left Athens for a time after Socrates' execution is probable; that later he went to Cyrene, Egypt, and Sicily is possible; that he was wealthy is likely; that he was critical of 'advanced' democracy is obvious. He lived to be 80 years old. Linguistic tests including those of computer science still try to establish the order of his extant philosophical dialogues, written in splendid prose and revealing Socrates' mind fused with Plato's thought. In Laches, Charmides, and Lysis, Socrates and others discuss separate ethical conceptions. Protagoras, Ion, and Meno discuss whether righteousness can be taught. In Gorgias, Socrates is estranged from his city's thought, and his fate is impending. The Apology (not a dialogue), Crito, Euthyphro, and the unforgettable Phaedo relate the trial and death of Socrates and propound the immortality of the soul. In the famous Symposium and Phaedrus, written when Socrates was still alive, we find the origin and meaning of love. Cratylus discusses the nature of language. The great masterpiece in ten books, the Republic, concerns righteousness (and involves education, equality of the sexes, the structure of society, and abolition of slavery). Of the six so-called dialectical dialogues Euthydemus deals with philosophy; metaphysical Parmenides is about general concepts and absolute being; Theaetetus reasons about the theory of knowledge. Of its sequels, Sophist deals with not-being; Politicus with good and bad statesmanship and governments; Philebus with what is good. The Timaeus seeks the origin of the visible universe out of abstract geometrical elements. The unfinished Critias treats of lost Atlantis. Unfinished also is Plato's last work of the twelve books of Laws (Socrates is absent from it), a critical discussion of principles of law which Plato thought the Greeks might accept.